We welcome you as a new customer to our company. Our company provides cheap and quality cleaning. We offer commercial and domestic cleaning services. We will give you a complimentary price quote for cleaning services that will fit your needs and your budget. We are certified. We have experience and we know how to clean commercial areas. Our quality managers and cleaners will give you a good result. With our trained cleaners you can get 50% discount for domestic carpet and upholstery cleaning, oven cleaning and floor cleaning. You can get regular quality control. Monthly payment. ( send invoice on the email). We have lots of big experience - almost ten years. Our cleaners are certified. We use Prochem carpet steam cleaning method. We provide commercial and domestic carpet cleaning. Also we clean: sofas, chairs, mattresses and curtains. We have 10-15 end of tenancy cleaning a month. We work with Inventory Checkout Report and we will give guarantee what you get your deposit back. 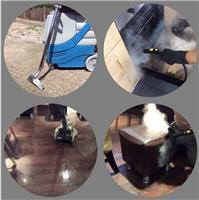 We use steam machine and non caustic chemicals. We are certified. OUR VISION IS A GOOD QUALITY WITH A CHEAP PRICE.